The grill is the unsung hero of the healthy eating world. 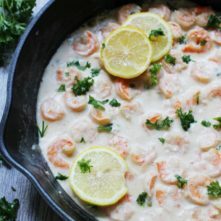 It’s perfect for those busy nights, lazy meals or even meal prepping. Awesome flavors for little work and next to no clean up makes everyone’s life easier. 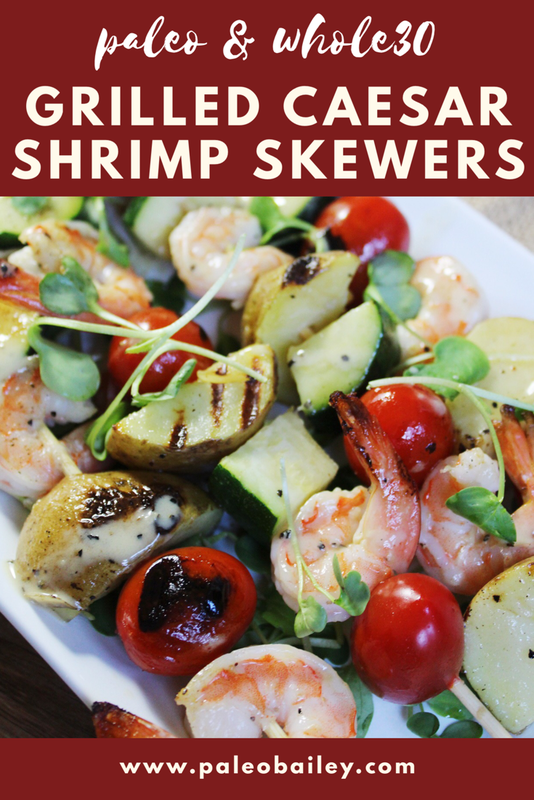 I love making skewers like these grilled Caesar shrimp skewers in the summer because all it takes is a little marinade to pull dinner together! 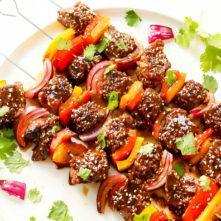 The beauty of grilled skewers (or kabobs) is that you can add any of your favorite veggies to them and they will always turn out delicious. 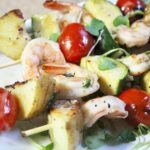 I love grilled zucchini, potatoes and cherry tomatoes so guess what when on my skewers? 😉 You can add anything from mushrooms to squash to onions if you’d rather! 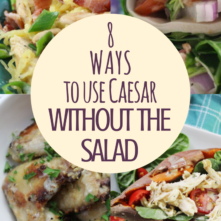 Ever since Primal Kitchen came out with their new Paleo and Whole30 approved Caesar dressing I’ve been using it on everything. 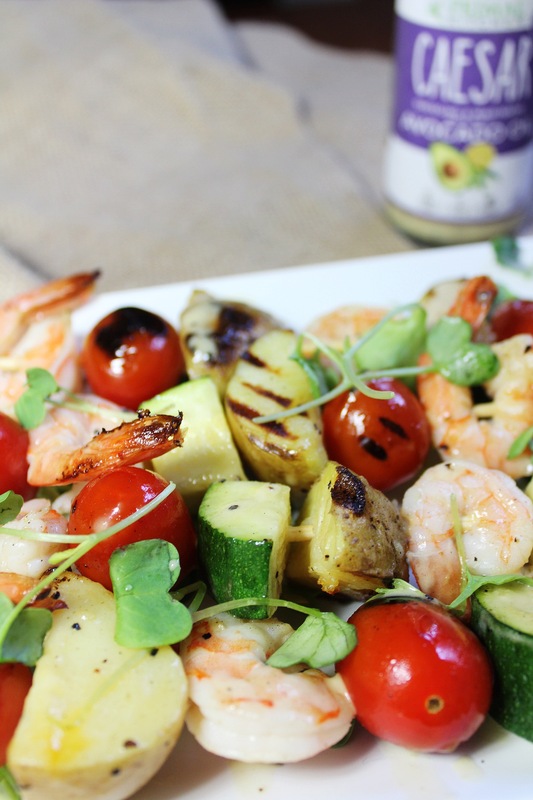 It’s so versatile and I love that I can use it as a salad dressing and a marinade. 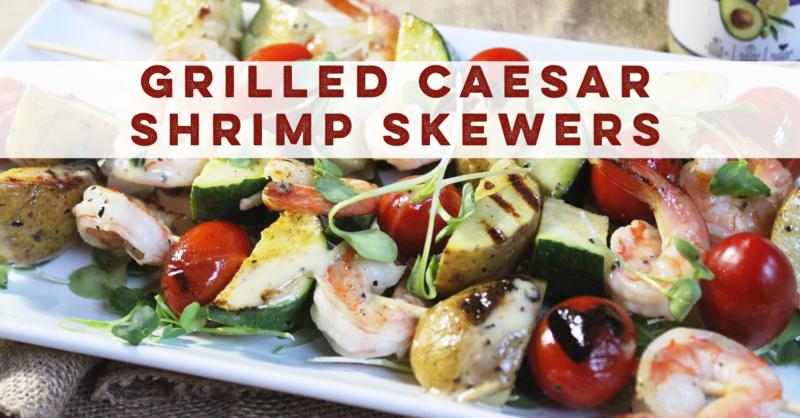 For this Caesar shrimp skewer recipe, all I did was throw shrimp in a ziplock a few hours prior to grilling and let them marinade with a few tablespoons of Caesar. You can get their new dressing (and all of the other awesome ones) on their website. You can use the code GROK15 to save 15% off on your order. Or you can get them from Thrive Market and in Whole Foods! Literally all of the dressings I’ve also used as marinades or turned into sauces so they’re pretty much constantly rotating through my kitchen – and not just for salads!